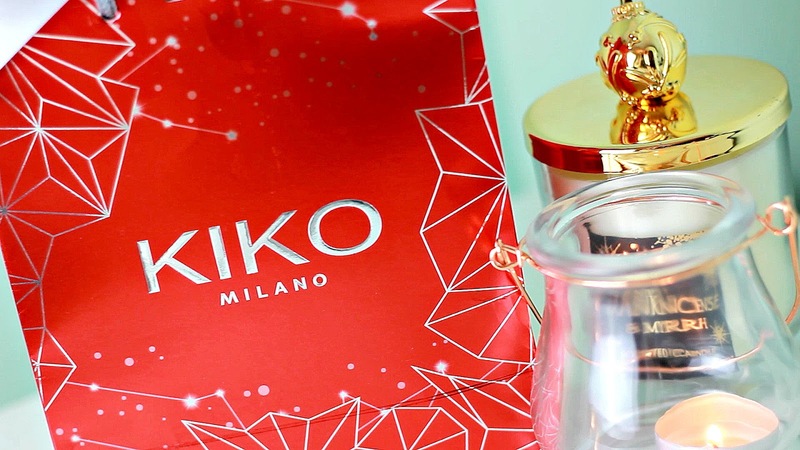 A few weeks ago I decided to head into KIKO for my first ever shopping experience. They recently opened a store in my local shopping centre, however I'd not actually found myself drawn in for some reason. I'd heard so many good things about their makeup though and while I was out shopping my step mum told me they were doing an amazing "buy 3, get 3 free" deal PLUS an additional 10% off. You've gotta love Black Friday! 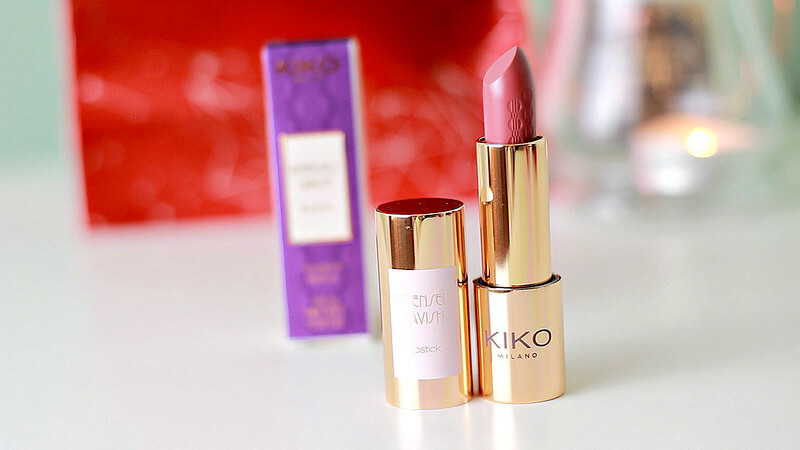 I'd specifically been told that their lipsticks were worth a try so I grabbed myself two; their Ultra Glossy Style lipstick in the shade 811 and their Intensely Lavish lipstick in the shade 01. Now I've actually had a chance to trial both of these for a good few weeks and I can honestly say they're amazing. Especially the Intensely Lavish one. I'm actually considering going back into the store and getting all the other shades in this range as the formula is just so lovely. The Ultra Glossy Stylo is also fab; the consistency is sheer enough to make it easy to apply however it doesn't lack pigmentation. 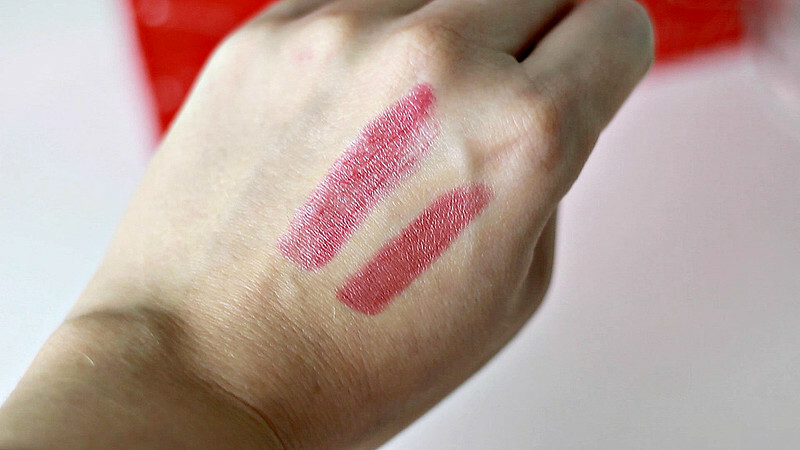 The swatch above shows the 811 shade on the left and the 01 shade on the right. Next up I went for some nail varnishes. I'd been told these last a seriously long time which is something I really look for in a decent nail polish. 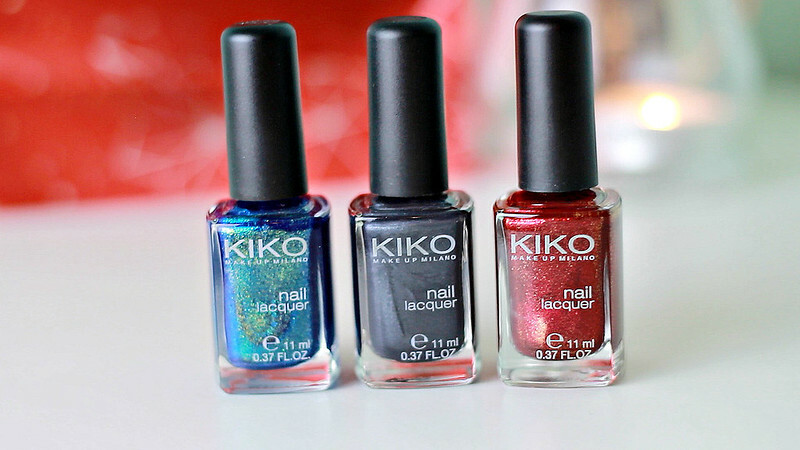 While I was paying the cashier showed me his nails which had been painted in one of KIKO's shades about 5 days prior to that. They had worn incredibly well with minimal chipping. I was super impressed! Colour wise I went for 2 very Christmassy shades; a glittery red (493) and a two toned green/ gold shade (530). I also grabbed myself a lovely grey colour (516). I'm yet to try these however I'm planning on using the red as my Christmas nail colour so I'll let you know how I get on! Finally I picked up this gorgeous face powder from their Cosmic Starlets collection. I went for the shade Mysterious Pink which is a beautiful dark pink and gold combination. 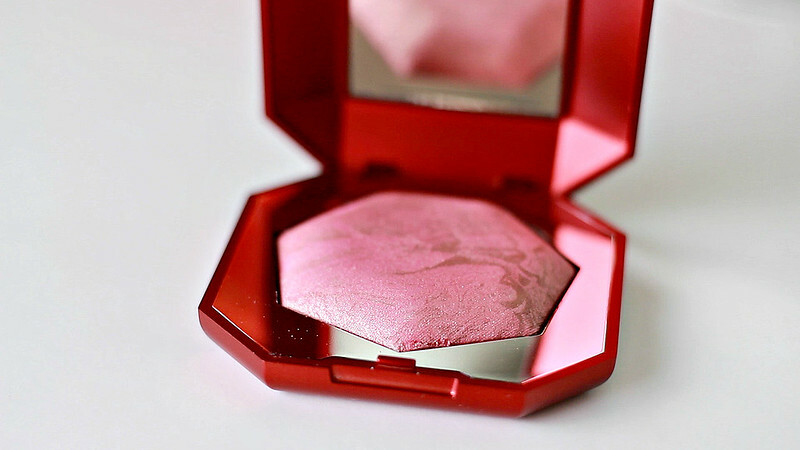 The shade is very festive and wears so nicely on your cheeks. It also has a lovely shimmer in it which means it doubles up as a highlighter. Win! 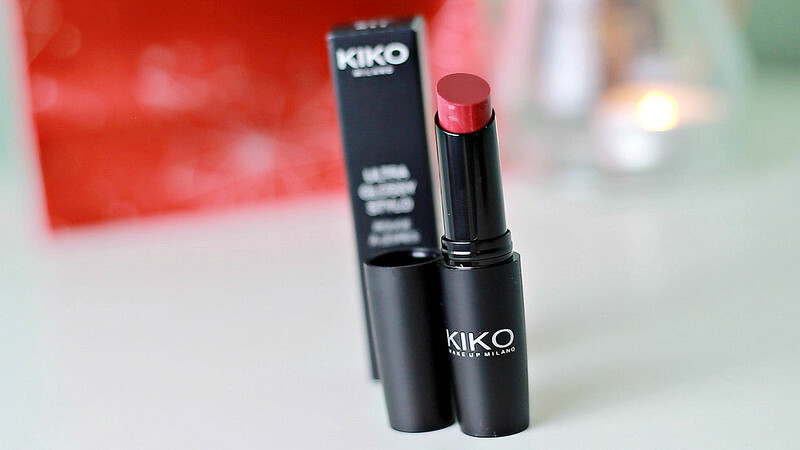 Have you tried any of KIKO's products? 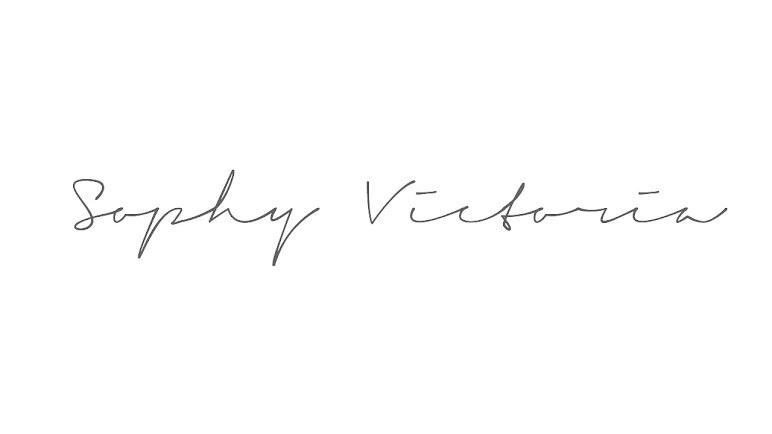 If you have, I'd love to hear what you tried and also what you thought!